Silk pajamas are made of 100% pure natural mulberry silk. They are non-polluting and truly green products. The silk pajama is made up of natural protein fiber composed of 18 kinds of amino acids required by the human body. Its chemical structure is similar to human skin and has good compatibility. It can help the skin maintain the metabolism of the surface lipid film, prevent skin aging, promote blood circulation and delay aging, and keep the skin moist and smooth. It has obvious effects on allergic skin and pruritus. Silk feels natural, soft and smooth. It is called the “fiber queen” and the second skin of the human body can truly give the body the best care and enjoyment. Silk pajamas have a smooth and supple surface, and their coefficient of friction to the human body is the lowest among all types of fibers. When our delicate skin and smooth and delicate products are smashed, its unique soft texture, according to the curve of the human body, carefully and safely cares for every inch of our skin. Silk in silk pajamas contains the highest volume of silk in the fiber, which can act as a two-way regulator. It reduces heat transfer when it is cold, and warmth is better than cotton and wool. When it is hot, it can discharge excess heat, so that the body temperature is constant, which plays the role of warm winter and cool summer. Silk protein fibers in silk pajamas contain a hydrophilic side chain amino acid, which can absorb and release moisture in the air. It can help the skin retain a certain amount of moisture at normal temperatures without making the skin too dry. When it is hot, it can quickly release the sweat and heat from the human body, making people feel cool. Silk protein in silk pajamas, its chemical structure is 18 kinds of natural amino acids, these amino acids contain a kind of fine molecules, called "sleep factor" has the function of calming nerves to eliminate fatigue, it can effectively improve sleep, improve sleep depth, eliminate Fatigue during the day. 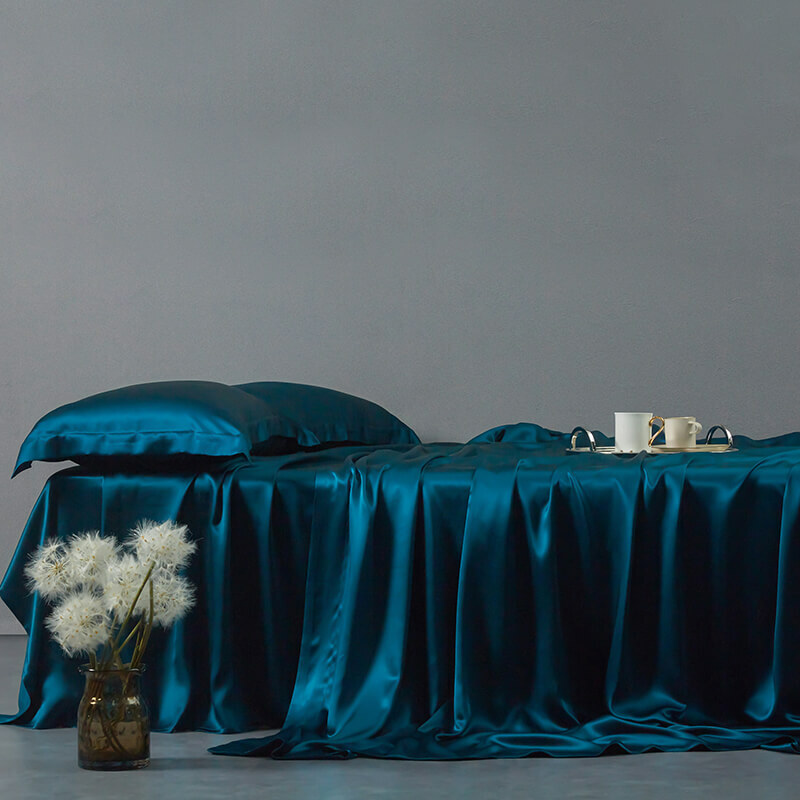 Silk has excellent natural properties of antibacterial, anti mildew and mite resistance. The SERCIN in its silk has the ability to prevent mite and bacteria from developing. The silk pajamas are made of 100% natural super-grade mulberry silk, which meets strict hygiene and health requirements. No chemicals harmful to human health are added in the process of production. Silk pajamas are characterized by a minimalist design that reflects fashion, romance, and elegant. While bringing people a healthy, comfortable, dignified and elegant life experience, we advocate a fashionable and rich life style. Become a symbol of sentiment and taste.